Beautiful Property - Home on 2 Acres of 12 Acres. 10 Acres Rented out - currently farmed. 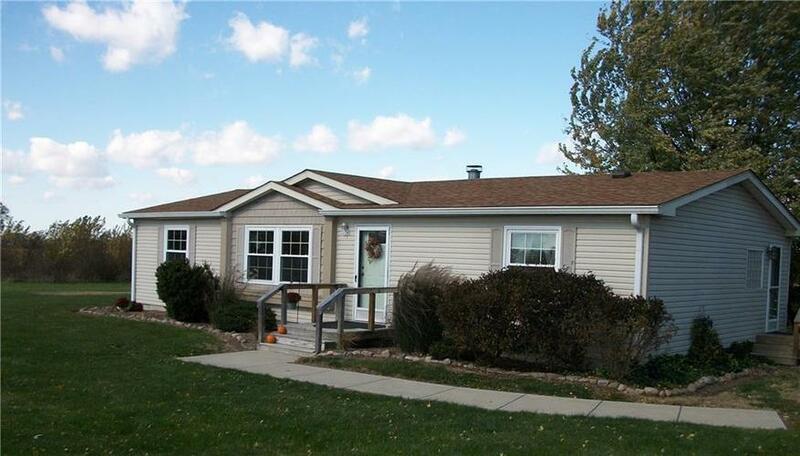 You will love living here in the Country in this 3 BR, 2 FBA home on your own "hobby farm"! 10 minutes to Downtown Franklin to Shopping on the Square & the Iconic Artcraft, Eateries, Toy Shops, Antiques shops & so much more. 3 minutes to I-65 to get uptown for work or play or South to Edinburgh shopping or Bloomington for IU Games. Property has huge barn, corn crib & carport which has electricity & lg. storage garage. Kit. w/ lg. amt of cabinets & counter space. New Roof, New Windows - 2018. New Stove, Dishwasher and Refrig. in 2018 Barn & carport w/newer roofs. You will not be disappointed with this beautifully maintained home & property. Directions:I-65 to Franklin SR 44 Exit. East to house on Northside of St. Listing provided courtesy of Bruce Richardson Realty, LLC.